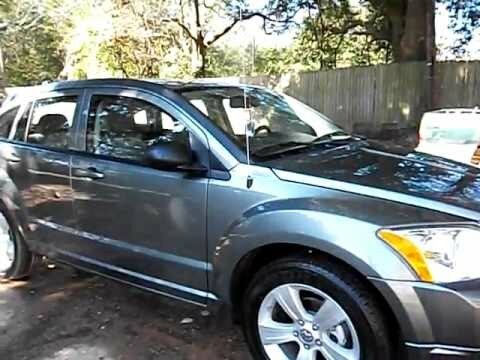 Whether you're looking to get some versatility with your economy or some economy with your versatility, the 2011 Dodge Caliber throws in a little attitude as well. It is a very sleek design for such a reasonably priced car. A very simple engine bay makes repairs and maintenance a breeze. The gas mileage is 24 combined mpg which is reasonable. It comes with extensive safety features, quality A/C air flow, up to date radio/display with Sirius XM capability. The only downsides are the get up and go, which could be expected from a 4 cylinder 2.0L engine, and the trunk size is a little hard to work with. For a family with up to 3 children it is a great commuter car, especially in cities where the streets are small, as the vehicle is very compact. Overall a great vehicle, especially for the money. Pros and cons for a 2011 Dodge caliber. It is not a bad vehicle however if you are tall and have little ones there is not check legroom in front and almost no back seat room. When I bought the vehicle I didn't at that time have two grandchildren but now I am finding it very difficult to get them in the backseat with their car seats yes. I do like that the back seats drop down for added space if you need to haul or transfer something a little bit larger but as far as room goes there's not much of it. If you are needing something with a lot of get up and go I do not recommend this vehicle either. Decent car, not so decent transmission. This car has a great sound system, Siriusxm satellite and is an all around simple car. There are not a lot of fancy buttons and lights which is easy on the eyes for night driving. The rearview mirror dims at night so the car lights behind you are not blinding. The transmission is a continuous shift transmission which I do not like. The car does not have the get up and go that I prefer. Other than the transmission, it is not a bad car. The backseat is a little claustrophobic due to the headspace. It is an ok car.